Telstra has selected Ericsson to upgrade its national optical transport to 100 Gbps technology. Specifically, Ericsson will provide its SPO 1400 metro optical family and the MHL3000 for long-haul applications, including support for 100Gbps services. Ericsson's next generation optical network solution includes the latest in 100Gbps transmission, ROADM (Reconfigurable Optical Add Drop Multiplexer) and DWDM technology with Multiservice DWDM and Packet Optical Transport Platform (POTP) equipment. In addition, Telstra and Ericsson announced the renewal of their longstanding strategic partnership. The agreement includes an expansion of Telstra's LTE network across Australia, as well as a program of advanced technology trials - of LTE-Advanced Carrier Aggregation, LTE heterogeneous networks and LTE Broadcast. David Thodey, Chief Executive Officer of Telstra, says: "Telstra is very proud of the work that we are undertaking with Ericsson to ensure Australia remains at the forefront of mobile connectivity. We believe these initiatives are a way of efficiently maintaining our high quality network and meeting sustained, growing customer demand." - The LTE-Advanced Carrier Aggregation trial will combine the 1800MHz and 900MHz bands. Telstra will also test Ericsson's coordinated solution for small cells in heterogeneous networks ensures high-quality capacity and connectivity in even the most densely populated city areas. In the third trial for 2013, for the LTE Broadcast solution, Ericsson will deploy Evolved Multimedia Broadcast Multicast Service (eMBMS) technology into Telstra's live network. As part of the trial, premium video and file-based content will be broadcast over the LTE network to test how video and other content can be more efficiently delivered through application of dynamic offload, particularly in dense consumption scenarios. Ericsson President and CEO Hans Vestberg says: "Under this agreement, Ericsson continues as Telstra's prime vendor of 3G and 4G RAN technology. The trials for Telstra will provide insights applicable not only on the Australian market but also globally. For example, the heterogeneous networks trial will be of interest to operators around the world who want to ensure capacity and connectivity in densely populated city areas. And the LTE Broadcast trial will show how Ericsson technology can deliver media content efficiently over LTE." F5 Networks is enhancing its Traffix Signaling Delivery Controller (SDC) product is optimized for software defined networking (SDN) and Network Functions Virtualization (NFV) architectures. Specifically, throught a new software release F5 delivers Diameter and control plane solutions that have the ability to run in virtualized environments with increased programmability and integration with network orchestration systems. F5 noted that a new standards group for virtualization of network functions has been formed as a part of ETSI (European Telecommunication Standards Institute). "F5’s Traffix SDC solutions have been deployed at more than 25 locations—including tier 1 carriers and service providers—because customers demand the reliability and performance of a mature and proven Diameter product,” said Ben Volkow, VP of Product Development at F5. "In addition, the Traffix SDC now offers service providers the ability to automate and program the network dynamically and realize NFV capabilities to bring network elements to x86-based server infrastructures. Service providers can now leverage our SDN/NFV-ready SDC signaling solution to benefit from simpler and faster network changes, reduced complexity and costs, and maximum business agility." Support for the leading servers on the market, enabling operators to leverage the same infrastructure for multiple network services. The platform is virtualization-ready with the ability to run on both VMware ESX and KVM hypervisors. A unique scripting capability and a new API to enable operators to program and automate policy-based configuration changes based upon the changing signaling and network conditions. This allows them to abstract the business logic from the device configuration in a programmatic manner. Huawei launched a Single Radio Controller (SRC) solution that supports a maximum data traffic capacity of 120 Gbps while offering multi-RAT network synergy. Huawei's SRC handles the centralized coordination of network resources for multi-band control. The solution includes Huawei's high-capacity, multi-RAT controller platform for GSM, UMTS, LTE FDD, LTE TDD and Wi-Fi networks. Its signaling processing capacity supports 64 million busy hour call attempts (BHCA), more than five times the industry average. The solution enables centralized LTE network cell management, significantly reducing interference and enhancing cell-edge user throughput by 200% via scheduling of resources between cells. 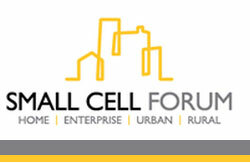 The Small Cell Forum announced Release One with a focus on providing operators with all the information they need to successfully launch small cells in the home. Release One also contains significant advanced work on future releases, including enterprise, metro, and rural small cells. Release One provides mobile operators with business case analysis for deploying small cells , including recommended equipment specifications for RFPs, together with best practice from the operators which have successfully deployed femtocells in scale. Ericsson and SAP will jointly market and sell cloud-based, machine-to-machine (M2M) solutions and services to enterprises via operators around the globe. 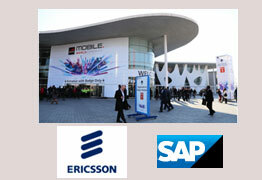 The solutions will be based on a combined software-as-a-service (SaaS) offering from Ericsson and SAP within M2M. The alliance combines Ericsson's Device Connection Platform & Service Enablement Platform with enterprise business solutions powered by the SAP HANA platform. Ericsson will also provide its consulting, systems integration and managed services, and complementary device and applications testing, as well as verification services to facilitate a faster time-to-market, efficient use of mobile network resources and an optimized user experience. "Today's announcement is a first step toward delivering on a shared vision that SAP and Ericsson have for co-innovating with our customers worldwide to help them deliver on the promise of M2M. Together, we will break down the barriers that prevent customer adoption of M2M solutions by delivering a simple, affordable and fast-to-implement solution. Enterprises will benefit from an offering that provides them with everything they need to connect to machines, and helps turn high volumes of data into real-time knowledge and decision-making," stated Jim Hagemann Snabe, Co-CEO of SAP AG. 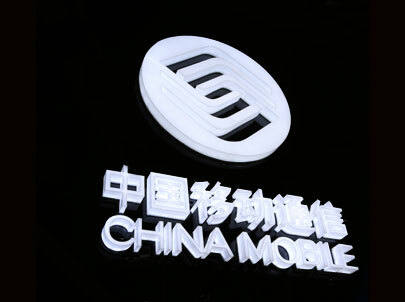 At Mobile World Congress in Barcelona, China Mobile in demonstrating the world's first dual mode HD voice over LTE (VoLTE) call between TD-LTE and LTE FDD based on ST-Ericsson's multimode modem and Renesas Mobile' quad-mode chipsets. Ericsson supported the demonstration by supplying its LTE TDD/FDD converged radio solution and IMS platform. The companies said the demonstration further paves the way for the ultimate commercial launch of Voice over TD-LTE. The demonstration also achieved HD quality TD-LTE voice service. As of January 2013, operators in 45 countries have launched HD voice over WCDMA/GSM/LTE in 61 live networks, supported by mainstream devices. In December 2012, Ericsson assisted China Mobile Hong Kong in demonstrating the world's first live, seamless, bi-directional LTE TDD/FDD interworking on the converged LTE TDD/FDD network.The launch of this converged network architecture, based on the recognized 3GPP standard, combines the power of both networks to benefit both China Mobile Hong Kong and its subscribers and the industry as a whole. P&T Luxembourg is testing Alcatel-Lucent's Zero-Touch Vectoring to evaluate how the technology can help the operator meet the national government’s "Ultra High BroadBand" plan - which aims at providing all Luxembourg residents with broadband speeds of 100 Mbps downstream and 50 Mbps upstream by 2015. In October 2012, Alcatel-Lucent introduced new signal processing software developed by Bell Labs that promises to shake up the business model for VDSL2. The new ‘Zero Touch Vectoring’capability eliminates the need to upgrade every CPE in a copper node whenever the first customer opts for faster broadband access delivered over a VDSL2 vectored line. Previously, a carrier choosing to deploy VDSL2 Vectoring was required to upgrade every modem on the network in order to properly handle the crosstalk elimination. Alcatel-Lucent introduced the first commercial VDSL2 Vectoring solution in September 2011, delivering 100 Mbps over existing copper loop lengths of 400 meters. 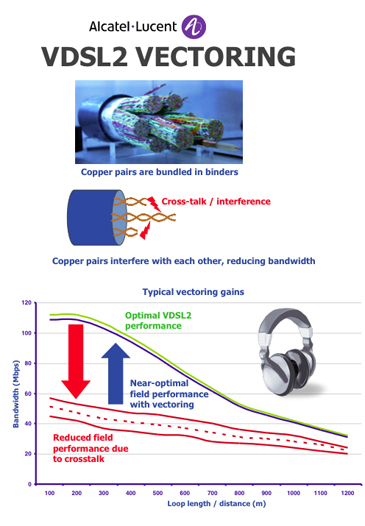 VDSL2 vectoring uses digital signal processing to remove crosstalk between copper pairs in a bundle, similar to noise cancellation in headphones. From line cards at the central office or DSLAM, the system measures the crosstalk from all the lines in the bundle and then generates an anti-phase signal to cancel out the noise. Alcatel-Lucent developed its own chipset and software. The VDSL2 vectoring is delivered via a 48-port Board Level Vectoring card, a 48-port System Level Vectoring card, and a Vector Processing card supporting up to 384 ports. P&T Luxembourg is testing Alcate-Lucent's Zero-Touch Vectoring innovations to help meet the government's "Ultra High BroadBand", which aims at providing all Luxembourg residents with broadband speeds of 100 Mbps downstream and 50 Mbps upstream. P&T Luxembourg is already deploying Alcatel-Lucent’s GPON and P2P-based fiber access solution, and is now investigating how to leverage its existing DSL infrastructure to reach the government’s 100 Mbps target faster – through the use of VDSL2 Bonding and Vectoring. VDSL2 Vectoring is a noise-cancelling technology that removes the interference between the multiple VDSL2 lines, so that each VDSL2 line can operate at its best and deliver higher data transmission speeds. In combination with VDSL2 Bonding, which takes two copper-based VDSL2 lines per subscriber and aggregates them, speeds of 100 Mbps can be achieved at distances up to 800m. In October, lcatel-Lucent introduced new signal processing software developed by Bell Labs that promises to shake up the business model for VDSL2.